What would you do if you realize the cashing is missing on POS or inventory keep shrinking in your warehouse? Install a CCTV camera properly the first thought. However, you may never find out who is the rat after you setup a camera in the sense. People can spot out the camera’s shooting direction easily. They will stop stealing under your cameras. Shoplifting and employee theft account for 66.5% Inventory shrinkage in 2017. More than 50% loss could be avoided if the owners have deployed properly loss prevention solution. We will see how the hidden camera can help with those issues. Hidden camera is so-call spy camera or covert camera. Is it legal? Basically, the hidden camera has to follow the same rules as conventional camera does. Signage may need to be put up to tell your customers or employees CCTV cameras are recording in the sense. The signage doesn’t have to be next to the cameras. Install a camera in privacy space such as change room are forbidden. Audio recording is totally illegal in the business application. 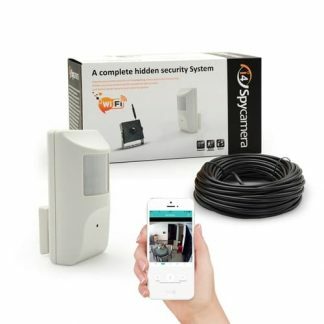 The key value of hidden camera is people don’t know “that is the camera” which gives you an advantage to investigate the case of loss prevention. In order to maintain this advantage, you need to find a proper place to install the camera without exposure the cover. The ceiling is a nice place to go. People seldom pay attention on the ceiling. The camera can even be placed in the plenum space. In this case, a small hole with 3.5-4mm diameter has to made for the pinhole lens to see thru. 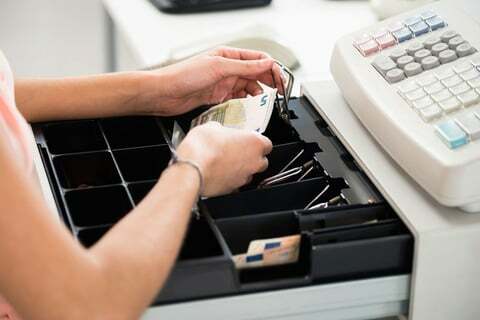 It is the common practical application to watch activities in POS with this kind of setup. The shortage is the camera can’t see the facial detail, because it is watching straight down from the top. Getting evidence is the primary purpose to set up the hidden camera. Both camera’s shooting angle and image quality contribute to the useful evidence. 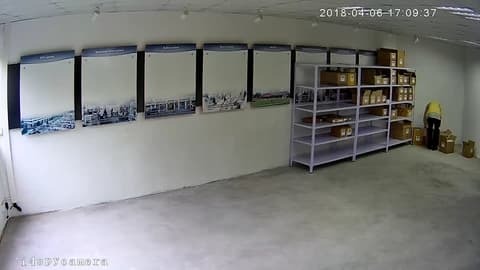 One of the real case is an owner installed hidden camera, when theft happen, he looked back the video and tried to identify the face, but the footage couldn’t deliver what he wanted. If you just want to record the activity, shooting the camera from the top is fine. otherwise maintain a shooting angle between the camera and watch spot is necessary. The mobile phone is useful tool. Hold up the mobile phone close to the installation position and shoot to the watching spot, take some pictures. Those pictures can give you a rough idea what the camera can see after installation is completed. On the other hand, the image quality of hidden cameras not only reply on the sensor resolution but also the lens. Somehow the pinhole lens plays more important part than sensor, because high quality pinhole lens is difficult to source. If 1.3 megapixel pinhole lens is used with 4 megapixel sensor, the image will be fuzzy. No matter what kind of camera you choose, complete the installing as soon as possible. You certainly don’t want to disturb your business or let people you are putting up the hidden camera in the sense. Most of the hidden cameras supports both Wi-Fi and wire connection. Here is the tips, always test and configure the camera before you fix it. 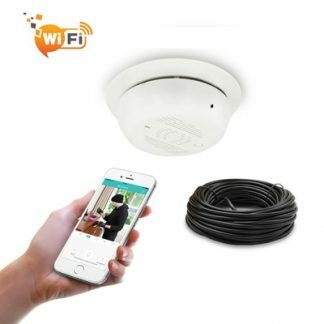 If you plan to connect the camera to your Wi-Fi network, check the Wi-Fi coverage range around the installation position. The signal need to be always better than “good”. I know people said the signal coverage is enough inside the building, but the walls still could block the signal seriously. The next thing you need to decide is power source — battery or DC power. The Wi-Fi camera still needs power wiring. It just doesn’t need to wire back to your network switch port. Unless the camera is deployed temperately, DC power cable is better choice. Otherwise changing the battery will become your routing work. Some of the battery operated camera claim to be standby for 120 days, that is not actually working time. The camera simply go sleep to save power and wake up once it detects the change in the sense. The problem is the business sense could keep changing. The camera will be woke up every time when customers or employees work around. The battery will be eat up very soon. 10000mA full charge battery only can support 48 hours continuous recording. All the CCTV camera need to be recorded in some ways, so you can retrieve the footage when you need it for evidence. 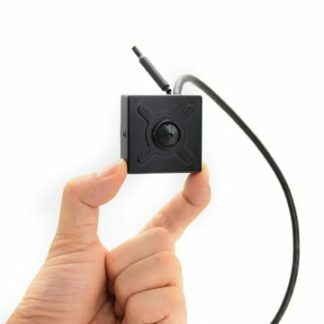 The hidden camera can connect to a recorder or VMS software for recording. Compatible is the issue which need to be concerned when integrate hidden camera to existed IP surveillance system. Fortunately, there is organization Onvif which provides and promotes standardized interfaces for both ip cameras and recorder suppliers. As long as both sides follow the Onvif protocols, the camera should have no problem to talk to the recorder or VMS software. Some of the hidden camera has TF-card slot. It is the most cost-effective recording solution. Footage will be recorded to TF memory card directly without involving external devices. The maximum Micro SD card capacity support is 128GB in the camera. With latest compression technology H.264+ or H.265. 128GB can supply up to 10 days 1080p video recording. If you want to keep the video longer, schedule recording function could help. 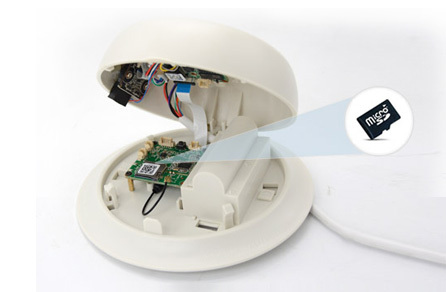 The hidden camera can set to record only during working hours. Once the TF-card space is full, it will keep recycling recording from the beginning automatically. TF memory card also can work as backup redundancy recording. Even the whole security system is compromised, there is still have video back up inside the TF memory card. Maintain is easy part, but can’t be ignored. Checking the camera with the mobile phone once or twice in a week, make sure it is still working properly. Never forget to check the video is recording. You can watch the live doesn’t mean the camera is recording properly. 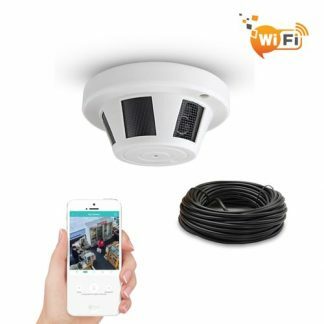 Most of the advanced system allows you configure alarm, once the Micro SD card go error, the camera can send you a notification message to your mobile phone.